“City of flowers” living up to its name. 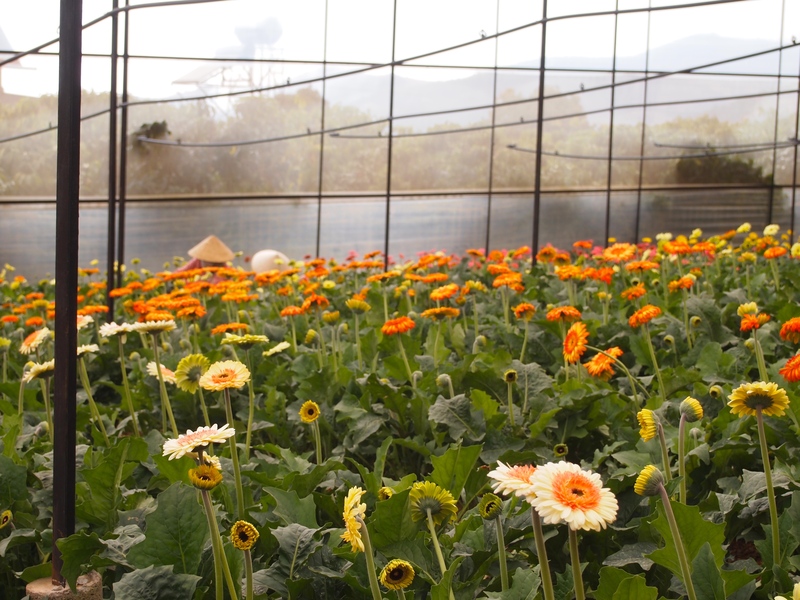 Posted in Da Lat, South East Asia, VietnamTagged Agriculture, Asia, Backpacking, Da Lat, Flowers, Gerberas, Horticulture, South East Asia, Travel, VietnamBookmark the permalink. Tea for two, with a view. Bright and buzzing, a city of under 40s.